We organize guided paddling tours for groups, for instance customer events and batchelor partiers. During daytime on May, August and September our kayaks are used by school groups. For paddling tours, ask us via e-mail. You can also order sauna and catering services from us. Vuokraamon yleisövuokraus on tältä kesältä päättynyt, mutta järjestämme ryhmille edelleen ohjattua toimintaa. 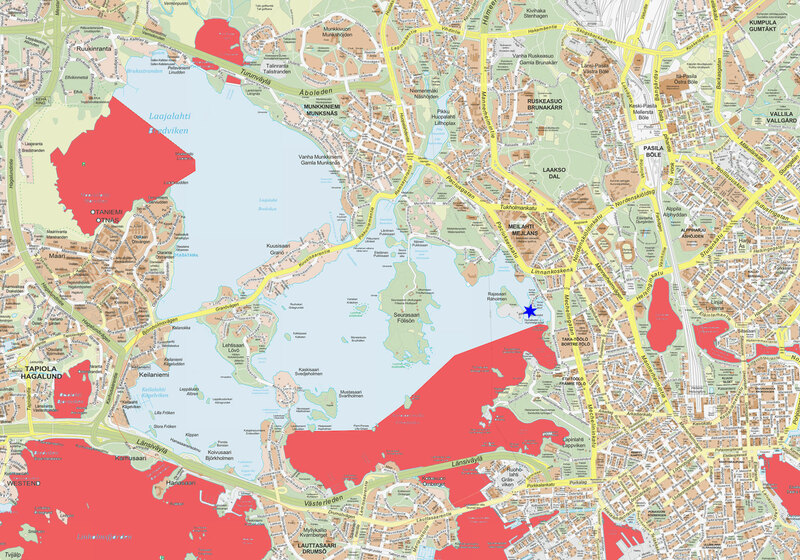 Make a SUP -resevation here (go to the finnish page). Look up allowed paddling area from here. You can check conditions for rental from here. Helsingin Melontakeskus Oy was founded on August 23rd, 1993 to implement a new paddling base for Helsingin Kanoottiklubi ry. 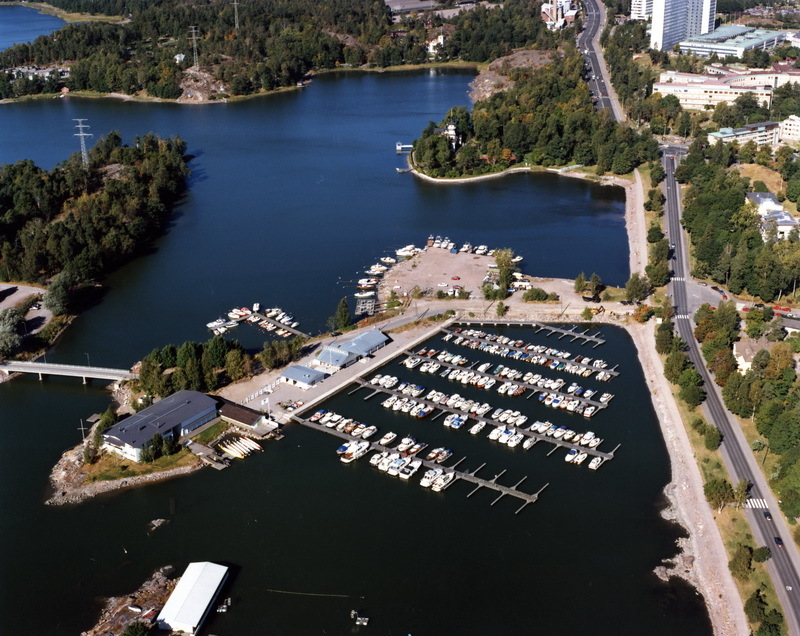 The base was completed on July 12th, 1994 on Northern Humalluoto at Rajasaarenpenger 8, 00250 Helsinki. Helsingin Melontakeskus offers functions to serve activities of Helsingin Kanoottiklubi and HKK -Talviuimarit ry, but also other functions like venues, kayak rentals and experience activities. Helsingin Melontakeskus rents kayaks and canoes primeraly for paddling sessions starting and ending to Melontakeskus. Check the rental conditions from here. You can of course rent one even for you cottage, but our pricing policy doesn't favor long term rentals. Kayaks, canoes and SUP boards are rented by Helsingin Melontakeskus during summer time and warm waters at Rajasaarenpenger 8. Opening times of the rental can be a bit irregular due to weather. For safety reasons rental is closed on foul weather. Please check our main page information. Most likely opening times are on weekdays 12.00 - 20.00, Sat 10.00 - 18.00 and Sun 12.00 - 18.00; returns are expected within opening times. We accept cash, debit and credit cards, Smartum vouchers, card and saldo prepayment and Edenred Virikeseteli, card and mobile payments.